Marriage lines, now more commonly called relationships lines. The relationship lines (also called attachment, marriage or union lines) show more about what the person ‘feels’ about the relationship. For instance, if a line is weak, the union may not last forever because the feeling of love is not as strong. In saying that, however, I have seen a weak marriage line that still lasted 28 years. Some people will try very hard to make their relationships last, no matter what the palm lines predict. The relationship lines that are commonly used to look for unions on the hands are found on the side of the palm under the Little finger. It makes you wonder why do we even bother to read these lines if they are so unpredictable. Is it a matter of believing it or not? It just may be that over the years, there has been enough evidence in some cases for palm readers to attain reasonable estimates, therefore making it acceptable. I like to believe, if all or most of the findings support each other in confirming an answer, then it may be said as being true. However, often, there isn’t enough evidence to confirm the results 100%. Therefore you cannot rely on one indicator alone. If you have just one deep relationship line, the meaning of it is that you prefer to be monogamous. Whenever you are in a union, you stay loyal to your partner, whether it is a marriage or not. 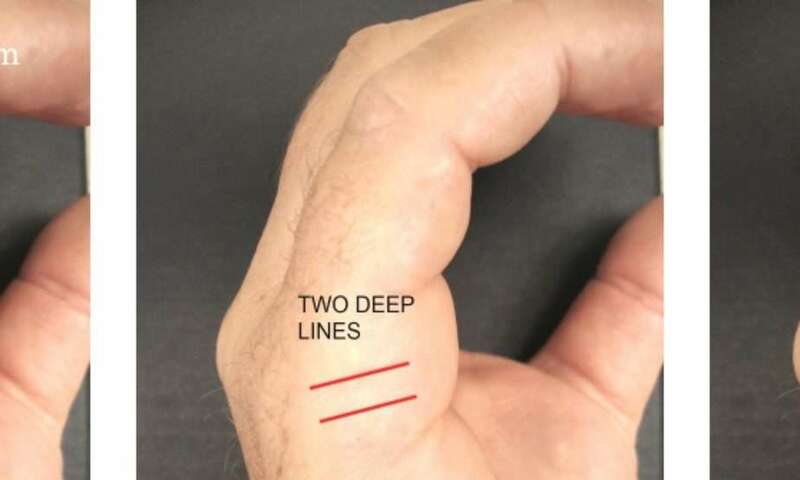 Even two deep relationship lines show the same. It is only when there are many fine lines that depict someone who finds it hard to commit. Destiny Palmistry ‘All the Lines’ is now ready to order. When will I get married? The most popular question I have been asked and probably one of the hardest to answer. Whether only one line is present or more, the timing needs to be verified. It can be done (approximately) from the influence lines using the fate line if there is any present. 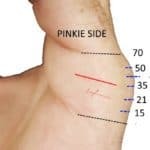 Unfortunately, though, not all hands will have these lines for confirmation, especially if the skin is coarse and sparsely lined. Finding validation from parallel lines along the life line is another option, using the life line to measure the age. The various ages when people marry shows that whatever the age it began, the outlook of the individual is evident. If the line falls below the middle of the mount, the union is expected to be at a younger age. The higher the line on the mount, the later the marriage is likely to occur. Get a one card psychic tarot reading, just click on an image, see here. The original Destiny palmistry book here.